The new Dollzone doll will be sold by a Russian doll shop located in Moscow, Russia Dollslife SHop. Currently it is unclear whether the doll will be available to collectors living outside of Russia. Design sketches were posted on the Den of Angels forum. The company has been planning the release of a new double jointed body for the 44-5 cm. sized girl and boy dolls, butthey released them with the choice of 5 new heads. Doll Zone‘s five new dolls are; Aimi, Luke, Kimi, Jake, and Limited Doll Reiko. 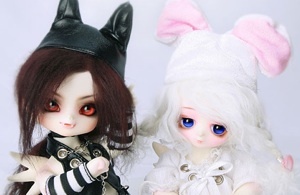 The dolls come in basic form with random eyes, but the wigs, shoes, face-up and clothing shown can all be purchased. All the new dolls and new 1/4 sized bodies can be seen on the website. Doll Zone has announced a re-design for the 1/4 size doll bodies. On December 15th, a new double-jointed body will be released. The company will offer them at a special a sale price between December 15th 2008 and February 28th, 2009. More details should be available soon. Dollzone retailer Dollzone Spain is holding a photo contest with up to 400 Euros in prizes. Individuals must be registered at the site to enter. The photos must be Christmas themed and feature Dollzone dolls. No signatures on photos. Works must be original. The contest is also open to countries outside of Spain. 1st prize: Couple of limited pets (Bunny + Fox) in the selected skin colour (Make up not included: 45 euro each pet). 2nd prize: Single limited pet (Bunny or Fox) in the selected skin colour (Make up not included: 45 euro). 3rd prize: Any of our outfits in stock (clothes, eyes, wigs, shoes or accesories), or any item from Tarus Art Food. You can send your photos from 1st December to 25 December 2008. Dollzone Spain will make a short list from 26 December to 31 December 2008. Final ranking will be published on Junuary 11, 2009, and winners will be announced. Winners have to contact Dollzone Spain before February 28th, 2009, to get their prizes. 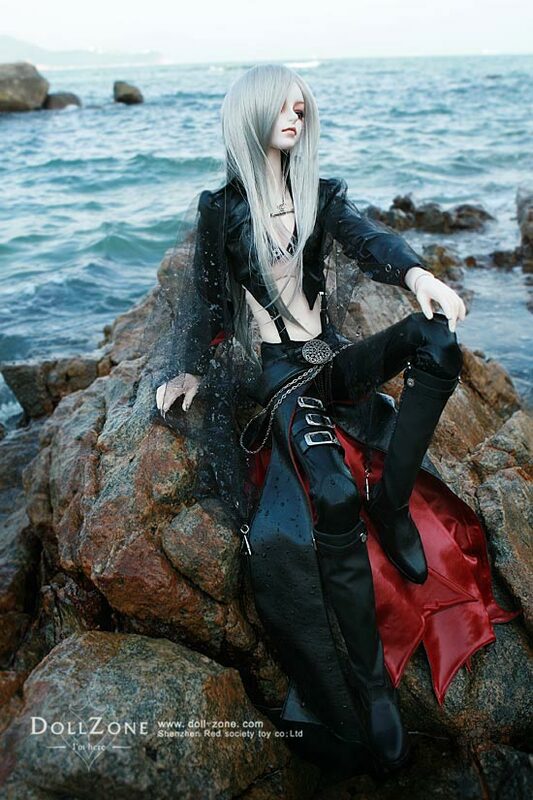 For further information, go to the Dollzone Spain site. The date for the beginning of the Dollzone Christmas promotion was originally listed as December 1st. The date is now listed as November 1st. The promotion details can be seen on the Dollzone site HERE. Dollzone retailers will also be offering the Christmas promotional event dolls. The The Dollzone Christmas Promotion dolls are now pictured on the Dollzone website. They are 14.5 cm tall Leo and Luna. They come with magnetic wings. Christmas Promotion dolls are now pictured on the Dollzone website. They are 14.5 cm tall Leo and Luna. They come with magnetic wings.